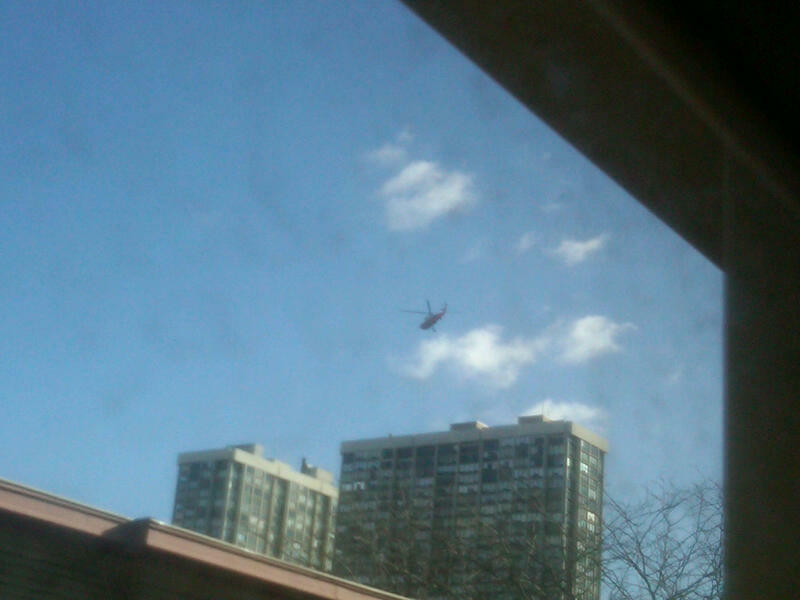 Copter over Sheridan highrise Reviewed by Edgeville Buzz on March 27, 2011 . 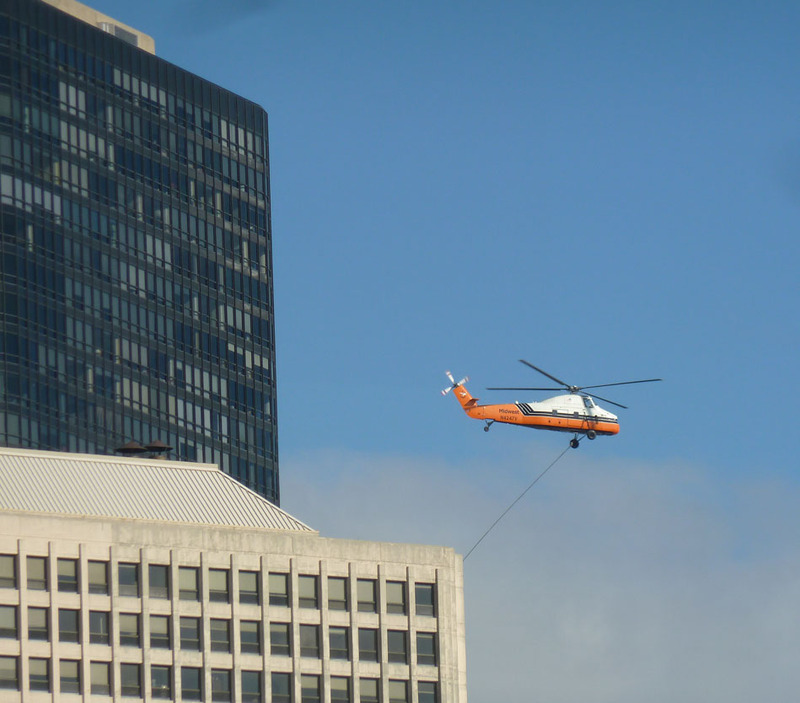 (a reader submitted the photo above – great shot!) 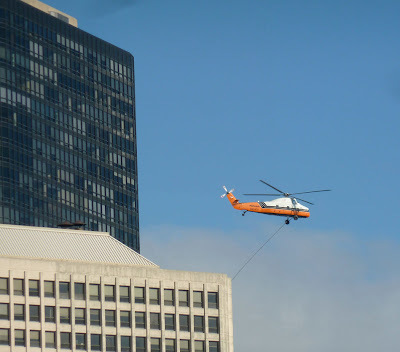 A helicopter continuously visits a highrise on Sheridan near Balmoral this morning, apparently delivering something with a long tow rope. Anyone have any idea what is going on?